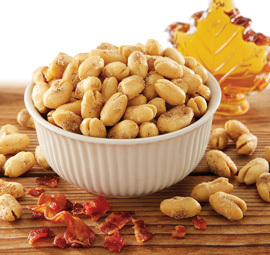 If you like honey, you're going to love our Honey Roasted Virginia Peanuts. 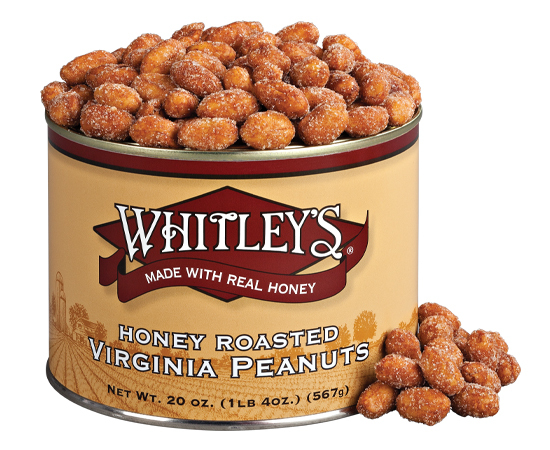 Unlike others that use artificial flavors, our large Honey Roasted Virginia Peanuts are actually made with real honey, sweet sugar and a dash of salt. These plump peanuts are kissin cousins to our popular Butter Toffee Peanuts. 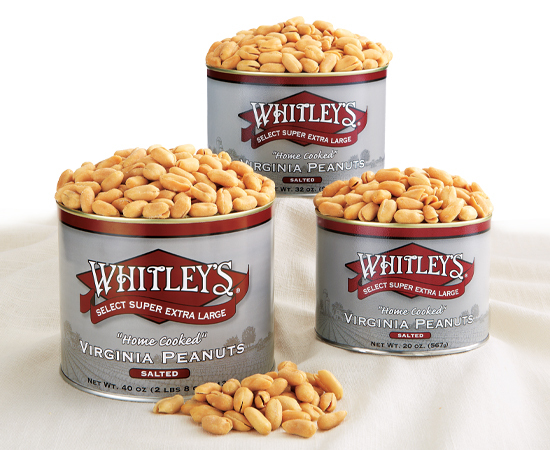 Better order several tins because we guarantee these nuts are the best you've tasted. Ingredients:Peanuts, Evaporated Sugar Cane, Light Amber Honey, Peanut Oil, Sugar, Potato Starch, Salt, and Xanthan Gum. BEST PEANUTS EVER - HANDS DOWN!! These are THE BEST Honey Roasted peanuts I have ever had the pleasure of eating. No more buying Planters peanuts from the store. I will always order from Whitley's Peanuts. And when my Husband and I visit Virginia... I always have to visit the Whitley's Peanuts store in Williamsburg, VA. 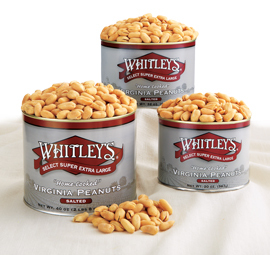 I am such a HUGE fan of Whitley's Peanuts. They always keep me coming back for more. And I will always recommend their peanuts to everyone I know... whoever is a fan of eating peanuts as much as I am. 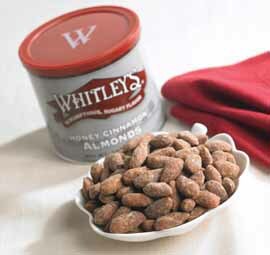 Thanks Whitley's for an AWESOME product ! Love you guys SO MUCH and I look forward to our next visit !! The perfect sweet and salty treat! 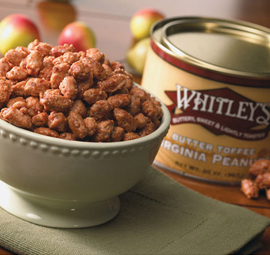 Wonderful balance that compliments the superior crunch of Whitley's distinctive peanuts! GET THIS!